Autumn (Half) Term 2015/16 SEN Update: “It’s Important To Celebrate A Milestone…"
“It’s Important To Celebrate A Milestone…"
Back When You Was Small. With Your Fingers On Your Lips. Back When We Was 10. This is my last update for 2015 (the chronological not the academic year) so you will now not hear from me again unless you follow me on Social Media, until the beginning of the Spring Term 2015. Even though some of you know that I have been doing what I do for the last couple of decades, I only set up my own firm just over 10 years ago. It is now an ‘open secret’, but the truth is that I also only decided to set up on my own (with a little nudge from my wife, Erica) after I had been diagnosed with Cerebellar Ataxia (a rare and incurable, progressive, degenerative, neurological condition). The second doctor looking after me (I parted from the first after he said that there was nothing that I could do - I don't need those type of people around me) gave me the best piece of advice that I have ever had - to do everything in that I wanted to do in life as soon as possible. Little did both he and I realise then what I would actually be able to achieve! If you have read my updates before, you will know that, not only have I been able to help a lot of parents of children and young people with SEND during this time and win a lot of awards professionally, but I have also been able to do similar things personally by raising money for charity through doing my international bike rides. Ironic isn’t it, as I was already representing children and young people with SEN and Disability before I became disabled. I even remember thinking to myself after I was diagnosed, that who would want to instruct a disabled solicitor. Then one person said that she thought that it was brilliant that there was now a disabled solicitor representing disabled children and young people; although I did not really understand this at the time, I now look back over the last decade and see for myself what she meant. And best of all is the fact that I have been privileged to have done things and meet people I would not have done had I had not become disabled. 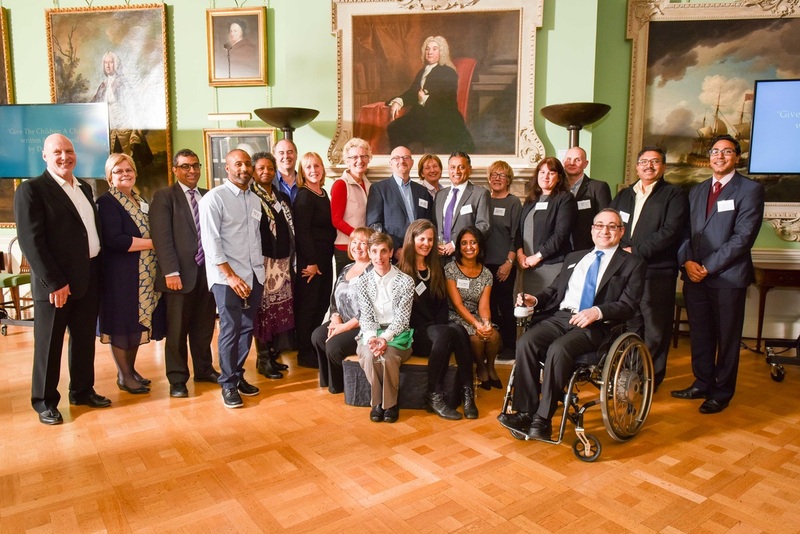 Although I now use a wheelchair to get around, I have had many more opportunities during this time than I would have had otherwise - you could even say that becoming a wheelchair user has actually opened doors for me! Anyway, to celebrate this milestone of our 10th anniversary, we held an intimate event at the Foundling Museum recently. The Foundling Museum recalls the good work of the Foundling Hospital helping vulnerable children and young people to succeed, something which is very close to my heart. I have put above a photo of me with just some of the parents who we have helped over the years who were able to join us. I have now organised my training seminars for the Autumn Term 2015/16, the first of which successfully kicked off earlier this week, but meaning that there are now only two dates left. 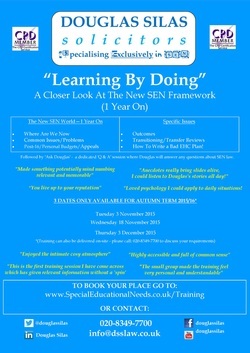 This time it is entitled: ‘Learning by Doing (LBD): The New SEN Framework (1 Year On)’ and I take a closer look at the new SEN framework one year on, consider the main issues and advise on how to avoid difficulties. How to Write a Bad EHC Plan! Places are limited to 15 delegates per day but I am again offering a 10% discount per place to the first three people reading this update that book for each seminar using the promo code ‘SEN10’ (cannot be used with any other offer). Please note that all training content is the same and is CPD accredited for all types of professionals. I have attached a flyer to those receiving this update by email to make your lives easier, otherwise you can download it by clicking on the image above. Whilst most of my time over these past years has been spent trying to help parents getting additional special educational provision, or a different school (or other educational placement) for their child or young person, I occasionally find people approaching me for legal help with other difficulties that having SEN can bring. I was happy to oblige them with two articles, which I co-wrote respectively with my colleagues, Joshua Garrod and Suzannah Lindon-Morris, who are both SEN Specialists. I have put the original articles on our website as well, so that you can read them if these issues are of interest to you now (or may be in the future). 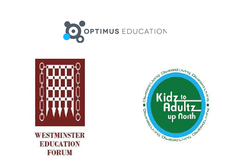 You can find them here: ‘School Exclusions For Pupils With SEND’ and ‘Contributory Funding In Independent Mainstream Schools’. As usual, I hope that these help someone. During the last couple of months, I have attended two main conferences on the new SEND Framework, run by Policy-UK and the Westminster Education Forum, which were both also focused on the new SEND Framework one year on. Both were very good and I really enjoyed the opportunity to hear a number of different perspectives from a number of different speakers about various difficulties being experienced by both parents and professionals. Some people just don’t get it, so go back to the old ways of doing things! A point was also made by someone else that we have not yet had enough time to see things properly and we need solid evidence before making any more changes now. It was also stressed that more training is vital for everyone involved in the process - sounds like a plug to attend training with me, doesn’t it! • Kidz to Adultz up North an exhibition in Manchester on 19 November 2015. Next week I will be undertaking my sixth (yes 6th!) 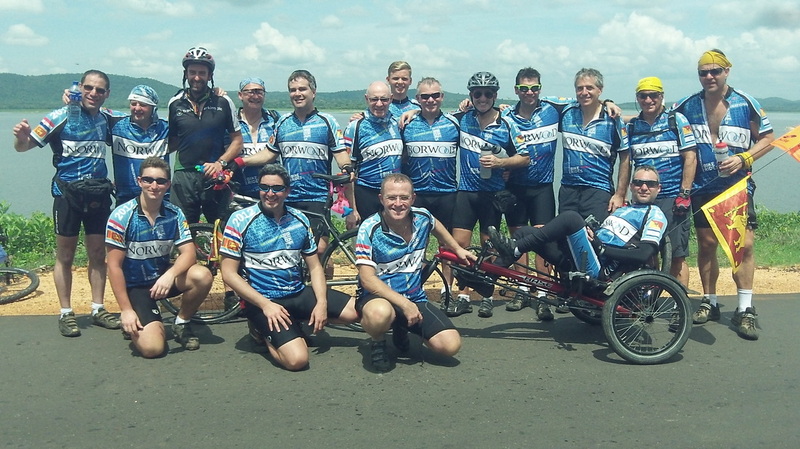 five-day long international bike ride to try and raise more funds for Norwood, a charity that supports children and young people with disabilities (by using a specially modified recumbent trike). So I am again attempting to raise a significant amount of money but need your help to do this by asking you to sponsor me. As I do not want this request to get lost in my update, I am going to send out a separate communication soon with more details. As I said above, who knew that my life would work out this way! P.S. I always find it helpful to find out what people think about my updates, so please take a few seconds to tell me what you think by going to: Autumn (Half) Term 2015-16 'SEN Update' – Your Thoughts’ – there are just 3 quick questions.